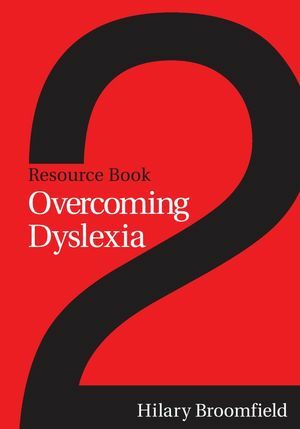 This second resource book is part of a teaching programme based on the highly successful handbook ‘Overcoming Dyslexia’ by Hilary Broomfield and Margaret Combley (2nd Edition, Whurr 2003). The materials can be used after completing part one of the course or they can be used independently from the rest of the scheme. They can be used as part of the literacy hour or specialised support lessons. The approach taken is a multi-sensory one and the activities are suitable for learners of all ages. This fully photocopiable set of resources supports the learner in reading and spelling vowel digraphs and diphthongs, ‘soft’ ‘c’ and ‘g’, common ending such as ‘tion’ and ‘le’, suffixes, prefixes, multi-syllablic and contracted words. Those familiar with the ‘Overcoming Dyslexia’ handbook will recognise these from part two of its ‘step-by-step’ approach. The resources also cover the correct use of punctuation, including end of sentence marks, commas, speech marks and apostrophes, and the use of everyday research skills such as scanning and finding information in telephone directories and dictionaries. The materials include background information for the teacher, teaching and learning activities, guidance notes for parents and homework activities. There is also a separate section on assessment and planning. The programme is suitable for use by learning support assistants under the guidance of the teacher and is compatible with the requirements of the National Literacy Strategy from Year 1 to Year 3, with some aspects of Year 4. Hilary Broomfield is the author of Overcoming Dyslexia, which forms the basis of a teaching programme for dyslexic students. This resource book, along with the first, are based on the teaching programme.